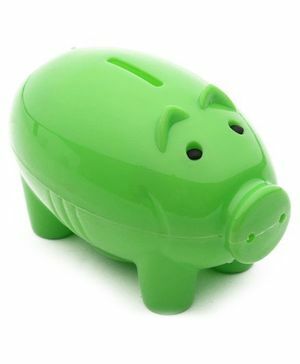 Buddyz Coin Bank features piggy shape body. This money box will help your little one learn to save money and keep them in good stead for the future. The sealed bank makes it fun for the kids to save. Simply drop coins in the slot on the top of the bank. A great gift for any piggy lovers. Note - This product is available in different colors, one available will be shipped to you. The product is too small and not worth the money spent for a plastic piggy like this! "good product.. but it could have been a little bigger"
It is a very good product, and was delivered in prompt 2 days. Though it could be a little bigger.